It's important to keep your home or business looking clean and tidy so choose the right vacuum for the job from our range of powerful upright vacuum cleaners and intelligent robotic hoovers. But you also want to make sure your business stays up to date in every aspect whilst saving money. You can get fantastic results from the automatic electric hand dryers, which have been the front runners for the MAXBLAST brand for many years now. 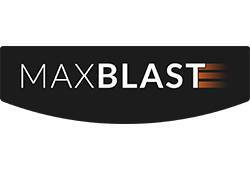 The MAXBLAST range is used in the hospitality industry, commercial cleaning businesses and home across the UK. From commercial upright vacuum cleaners to electric hand dryers, all our products get fantastic results every time. If you need it right away order before 2pm Monday to Friday for next working day delivery to mainland UK (excluding Scottish Highlands).